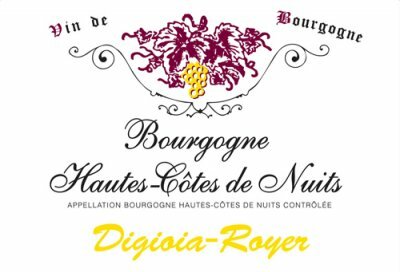 2015 Digioia Royer Hautes Cotes De Nuits Rouge - $27.99: Vins Rare, The finest selection of rare wines. Size: 0.51 ha (1.26 ac) Variety: Pinot Noir Vine Age: Planted in 1967, 1968 Terroir: Concoeur (village up the hillside behind Nuits-Saint-Georges) Viticulture: Lutte raisonnée Vinification: 100% de-stemmed, 15 days in tank: brief cold maceration, indigenous yeast alcoholic fermentation. 1 year aging in barrel (20% new). Racking, blending in tank pre-bottling.